Navigating the muddy waters of patient assessment can be one of the most intriguing parts of the job. Whether a patient has tried multiple options or suffered through previous attempts to diagnose and treat the problem without success, finding the solution is one of the most satisfying experiences a patient and physician can share. Working in documentation control for an oil pipeline, then 50-year-old Debra Hebert of Lake Charles, Louisiana noticed a gradual increase in the persistent fatigue and swelling in her legs over six years. Travel and 12-hour shifts were, in her estimation, the source of the ever-worsening swelling and pain. Initially, she thought she had chronic fatigue, but she was not satisfied with that diagnosis, and she began to explore her symptoms further. Traveling from Lake Charles, Louisiana, to Houston, Texas, in search of an accurate diagnosis, Debra started her long road to relief. One physician claimed that all he could do was prescribe diuretic pills in hope that it would do the trick. Through her diligent pursuit, she eventually saw a doctor that stripped the veins from knee to groin on her right leg, but there were still increased symptoms on her left leg. By then, after many months of searching for an answer, Debra was dealing with increased depression, along with receiving no relief from her symptoms. She was beginning to toy with the idea of pursuing disability. 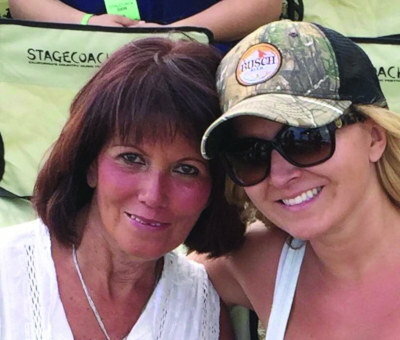 Debra’s daughter, Amber Leger, then a newly-hired nurse for Dr. Carl Fastabend, realized that Debra’s symptoms matched Dr. Fastabend’s specialty. Dr. Fastabend, a cardiologist in Lake Charles, Louisiana dedicated to vein care, began to evaluate Debra’s advancing pain. As her new vein doctor, he ablated her right GSV, which alleviated her mild right leg symptoms, but she remained debilitated due to her left lower extremity pain and swelling. IVUS-guided stent placement resulted in resolution of her symptoms, and she had finally found the answers she so desperately needed. “Diagnosis of central venous compression/obstruction can be complicated,” says Dr. Fastabend. “Many primary care and secondary consultant doctors are unaware of the pathophysiology and presentation of these patients. Frequently, my first step is to stop the diuretics patients are on mistakenly, which are doing them harm. Cross-sectional imaging, such as CT and MRI, can be very helpful, but they require rigorous technique and timing to visualize the venous phase. Working with huge corporate clients as a Worker’s Compensation consultant, Maria Bayne, from San Diego, California, travels on a constant basis, giving presentations from coast to coast. Maria had sought relief several times through her HMO’s primary care doctor, but he just gave her the same story—that there wasn’t anything he could do other than prescribe a diuretic, and she would just have to deal with it. Exhausted from getting no real relief, Maria says the answer came from an unexpected source. 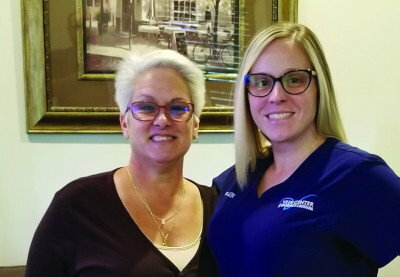 Michelle asked if it was okay to talk to her new boss Mr. Goodman about her mother’s condition, and together, they encouraged Maria to go to Dr. Patricia Thorpe, a vascular and interventional radiologist in Phoenix, Arizona. With the proper diagnosis, Maria took some time but then decided to go ahead with stenting. Dr. Thorpe recalls her first conversations with Maria. Dr. Thorpe says she’s not surprised that Maria’s HMO doctor didn’t recognize the signs. Maria says her quality of life is greatly improved. You've heard from the patients, now hear from the doctors who changed their lives. In an exclusive interview with Drs. Carl Fastabend and Patricia Thorpe, we learn about the influencers who've impacted their work and extract advice for aspiring vein specialists. 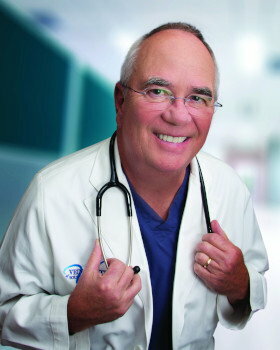 Dr. Carl Fastabend is a graduate of the Medical College of Virginia and is board certified in internal medicine and cardiology, practicing interventional cardiology in Southwest Louisiana for over 35 years. In 2011, Dr. Fastabend established the Vein Center of Southwest Louisiana, providing comprehensive care in venous disease and research with an emphasis on stenting large veins with venous compression or obstruction. VM: How did you get involved in vein work? CF: It has often occurred to me that my entry into the vein segment was a happy accident that happened about seven years ago when I attended a random seminar regarding venous insufficiency at a national cardiology meeting. I was intrigued by endovenous ablation and started with that, soon progressing to cosmetic work and phlebectomy. CF: I will always be beholden to Joe Zygmunt of Medtronic, Inc., who told me to learn about deep venous disease. David Goodman of Penumbra has been a great supporter and friend, and I have learned so much from my vascular surgeon colleagues, Drs. Paul Gagne, David Gillespie, Antonio Gasparis, and Nikos Labropoulos. I consider my relationships with these great surgeons to be the most important in my development as a full-time vein specialist, and I am so grateful to be their colleague. VM: Any advice you can share? CF: If there is any advice I could impart to aspiring vein specialists it would be to enter the field only if you are committed to learning the large body of knowledge in the vein space by reading, attending vein meetings, and affiliating with the masters of this field, which traditionally means vascular surgeons. This vein endeavor does not need dabblers who are ablating veins to supplement their sagging incomes. On the other hand, all who are dedicated to providing great patient care and moving the field forward will be welcomed as I have been. As part of my learning process, I passed the RPVI exam and became a diplomate of the ABVLM. As a member and diplomate, I have enjoyed the privilege of being a member and colleague of all vein specialists. I also endorse membership in the American Venous Forum. 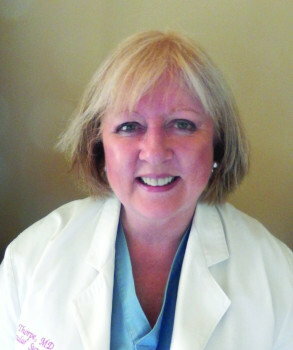 Dr. Patricia Thorpe graduated from Oregon Health and Science University School of Medicine and is an interventional radiologist who specializes in acute and chronic DVT. Following a Stanford fellowship, Dr. Thorpe continued her work through Creighton University, the University of Minnesota, and the University of Iowa. VM: How did you get involved in working with veins? PT: I started doing thrombolytic therapy on veins in the late 80s because I had done so much work with arterial disease. I had trained at Minnesota and Stanford, where we first started dissolving clots in veins. Most of the work we did was with arteries, grafts, and failed bypass grafts. I could see that no one was doing any venous thrombolysis, and I suggested we do it with veins because it worked so well with arteries. I developed a tourniquet that treats thrombus in the calf. If you could do a venogram by putting contrast into an IV in the foot and it shows all the veins, I figured that you could deliver the drug to dissolve a clot if you had to. The tourniquet selectively compresses the superficial veins against the bones and then all the medication that you put into the foot IV goes into the clotted vein. That worked very well, and I just started applying methods that we had used successfully in arteries to veins. Then, I was doing a combination of veins and arterial work when I was chief of interventional radiology at Creighton, and I started focusing more and more on venous patients. When you treat acute venous disease with good outcomes, people keep sending you more and more patients, and then they send you harder patients. If you get a good result, people talk about it and they send more cases. I worked with a vascular surgeon and we had a vascular center where we did a lot of work with dissolving clots in veins. I started stenting iliac veins in 1993. We were one of the first sites to ever start stenting veins for May-Thurner at Creighton. I was there for 12 years. I remember the first patient I stented, and it has now been 25 years. We have a really good follow-up record with patients who still contact me and come out here to Phoenix, Arizona, and see me. I do revisions, if necessary. They’ll send Christmas cards and say that they are still doing okay. In fact, I have stented many young women, and when they have children, they always let me know that they did okay. We refer many women to high-risk pregnancy observations during their pregnancies. I’m just always very interested in following the patients and making sure that they are doing okay. VM: So, you’ve improved the quality of life for these patients. How did you know it would work? restored with a normal leg than live with a leg full of clot. If it wasn’t working, I wasn’t going to keep doing them. VM: Being a seasoned specialist in this arena, what advice would you give those interested in veins? PT: I work with physicians from many specialties who are new to veins, and the one thing I encourage is that they have to want to understand the pathology of venous disease. It is not just about a procedure; it is the diagnosis and treatment of a disease of the circulation. A physician who works 80 percent with arteries and 20 percent with veins may trivialize the venous system, not really understanding that it is not like the arteries. If they don’t understand the venous system and how to fix it, then they are not really treating the patient correctly. The physicians who just merely want to do a procedure without any concept of the principles for success in stenting don’t get good results. And unfortunately, the patients suffer because their stents get occluded. If you have an occluded stent in a 22-year-old person’s iliac vein, it’s really hard to fix and it makes them worse than they were to begin with. I encourage them to take a very serious responsibility for that person’s life. It’s not just a procedure; they have to be accountable for the patency of that stent. Keeping that in mind, I’m very open to teaching people about how to do it without getting into trouble. We’ve devised a way to measure the vein to select the proper stent and how to evaluate the patient’s risk factors for clotting, so we get the most successful anticoagulation. It takes a lot of effort to help some people who are hard to anticoagulate and keep them from clotting. I encourage doctors who do iliac stenting to always use IVUS and not to put in too big or too small of a stent. The doctors who have had issues with the stent patency have often used small diameter stents or ignored in-flow issues in the distal external iliac or femoral segments. A stent system must have good inflow and outflow in order to remain patent. I encourage physicians who are interested in treating people with venous problems to become venous specialists and to learn as much as they can about the disease and to participate in the AVF, ACP, and all the support groups so they can actually be a dedicated vein doctor—for both deep and superficial veins. I think the time has passed where a physician who does 90 percent arterial work can dabble in venous disease. The field of Venous intervention has evolved. No vascular procedure is trivial. Good clinical results require knowledge and attention to details. *VEIN Magazine recognizes and thanks David Goodman, Sr. Manager of Market Development at Penumbra for suggesting this story. His role in leading patients to quality venous care has not only made a difference in their lives, but helps us to better understand the importance of exceptional training and best practices in the diagnosis and treatment of each patient case.